The Great Commission still says to go, but where is your congregation going? When was the last time you reached out to the people in your community? The people we see at the grocery store need Christ in their lives just as much as people living in foreign countries. House to House Heart to Heart is a tool to teach our friends and neighbors the Gospel in a loving way. For just one dollar, we can teach three families the Truth! Our #1 priority is saving souls. We believe that many people are still searching for truth. We share your interest in the growth of the church, which is why we hold ourselves to the highest standards in this effort to spread the Gospel. Every page of House to House Heart to Heart is loaded with Bible-based teaching, and Scripture is on each page. You can count on us to represent you to your community in a positive light. Through the last twenty years, we have worked with thousands of congregations to get the Gospel to millions of people, and we want to help your congregation reach your friends and neighbors. House to House Heart to Heart has an easy, three-step process to get the Gospel to your neighborhood! How many people do you want to reach, and where do they live? 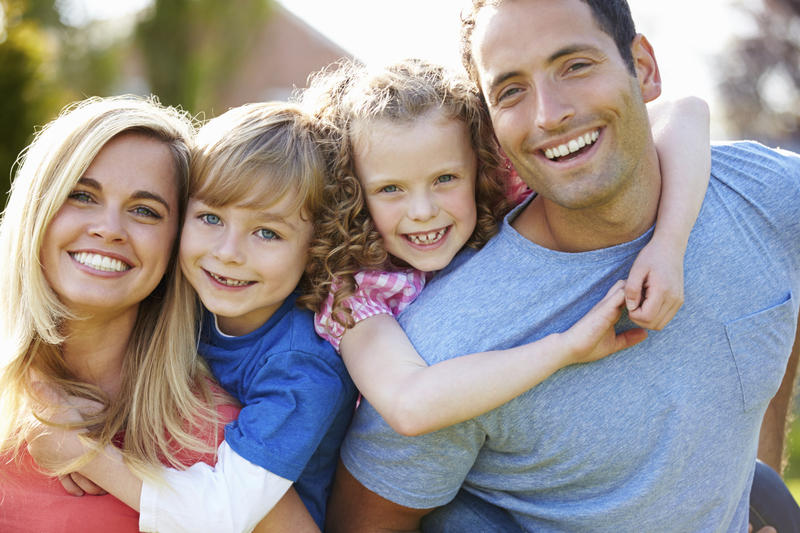 We will provide you with detailed maps and population counts for your neighborhood. You select the routes and quantities that you’d like to target with the Gospel. 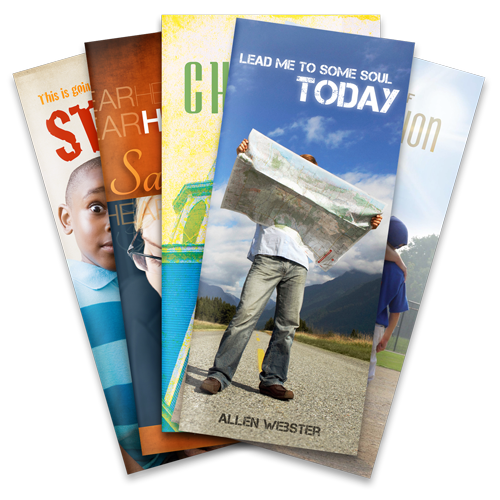 Have professionally designed material created just for your congregation. List your meeting times, church leaders, and the programs you provide. Advertise Gospel Meetings, Youth Rallies, or any other upcoming event. We’ll design the fliers for free! Plant the Seed of Truth in the mailboxes in your neighborhood. Copies of House to House will be delivered to the homes you select every eight weeks. 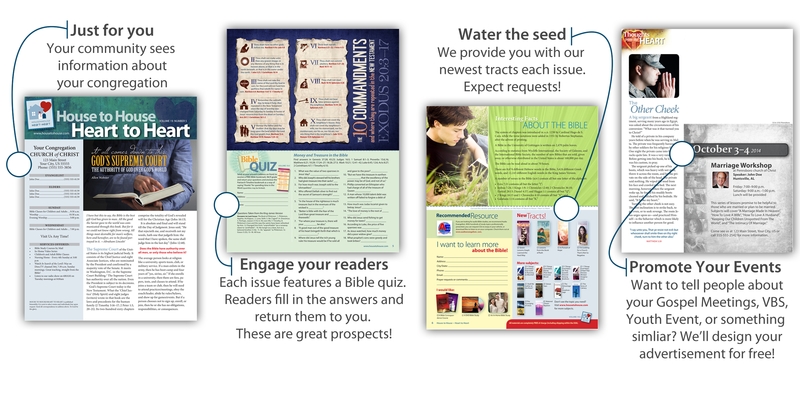 Be prepared to fulfill your community’s requests for Bible studies and study materials! We’ve worked with congregations of 10, 100, and 1000 members and everywhere in between. 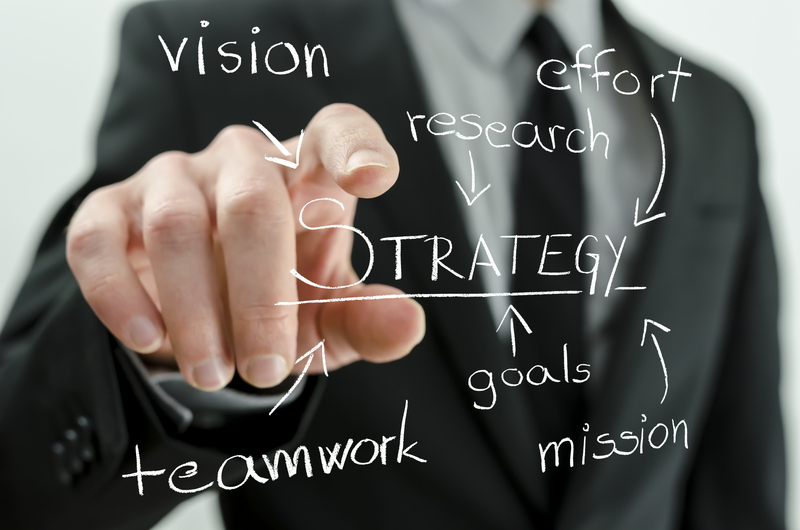 We’ll help you determine which areas you want to target, and we’ll provide the population counts to achieve your goals. We can work with nearly any budget, so give us a call and we can provide a solution that will work for you. Even though a thousand congregations send out each issue, your congregation will receive customized copies of House to House Heart to Heart so your community will think it originates with you, and will respond directly to you. You give us the information that’s important to you, and we’ll take care of the rest. House to House Heart to Heart will be printed for your congregation. If you use our direct mail service, copies will be delivered directly to your selected mailing routes. Every month, your neighbors will receive the pure Gospel in their homes, and your congregation will be featured on every piece. This is a fantastic way to show your community that you are concerned about their souls! As part of your participation, you will also receive our newest tracts and bookmarks for free each issue that can be used to fill the requests you receive from your mailings. Additional tracts/materials are available on our website if you need them. Sounds great! What about the cost? The cost of House to House Heart to Heart is based on two components: printing and mailing. In short, it’s 17 cents to print a copy of HTH and an additional 17 cents to mail that copy to your community. So for 34 cents you can send a personalized copy of HTH to a family in your neighborhood. That’s less than $4.00 per family per year! When you sign up for the House to House Heart to Heart program, you will receive all six issues per year. Constant teaching is the most effective way to evangelize through the mail. It builds name recognition and increases the likelihood that a person will visit. The cumulative effect of teaching helps soften hearts and change minds. If you can only afford to print for your major events (VBS, Gospel Meetings, etc.) then we can work with your budget and schedule. We only have one requirement: the printer requires each church to print at least 1,000 copies. You don’t have to print in increments of 1,000. If you want to print 1,749 copies, we can do that. If you want to print 17,490 copies, then we can do that too. It’s always 17 cents per copy, regardless of how many you print. Let’s face it: The Post Office can be confusing and intimidating. Paperwork, forms, bureaucracy, and rules are hard to keep up with. Let us handle that stuff for you! Most congregations opt to utilize our direct mail service. For only 17 cents per piece, we’ll handle every part of your mailing. We’ll do the paperwork and pay the postage, we just need you to choose which routes you want to cover. That’s it. You tell us where to send it, and we’ll make sure it gets there. So, what would my cost be? Numbers can be confusing, so we’ve provided a sample invoice to the right. In this example, the congregation decided to print 1,000 copies, and they decided to direct mail 800 of them. Note: Your mailing cost is directly related to the routes you select. This number will usually change every issue (+/- 20 families, normally), and we will only charge you for the copies that we actually mail. Your extra copies will be sent to you to place in your foyer or to give members/guests who may live outside your mailing area.